Producer Kathleen Kennedy has spoken to Variety about Walt Disney Studios and Lucasfilm‘s second Star Wars Story film, the still-untitled Han Solo movie, giving us a better idea of the look and tone they’re going for. Blue Jasmine and Hail, Caesar! star Alden Ehrenreich will take on the title role, with Community and Atlanta star Donald Glover as Lando Calrissian, and Game of Thrones‘ Emilia Clarke’s in an unknown role. 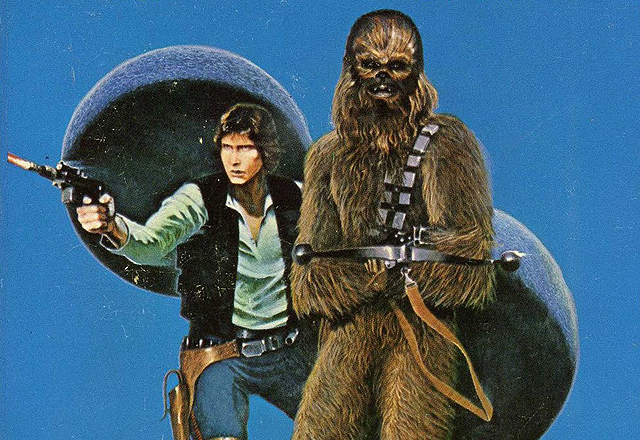 The screenplay for the Han Solo movie is written by Lawrence Kasdan and Jon Kasdan and will focus on how young Han Solo became the smuggler, thief, and scoundrel whom Luke Skywalker and Obi-Wan Kenobi first encountered in the cantina at Mos Eisley. It has also been confirmed that Chewbacca will also be a featured character in the film and, while unconfirmed, it is likely that The Force Awakens‘ Joonas Suotamo will reprise the role. Slated for a May 25, 2018 release, the Han Solo movie will be executive produced by Lawrence Kasdan and Jason McGatlin and co-produced by Will Allegra. Meanwhile Rogue One: A Star Wars Story hits theaters December 16, 2016, with Star Wars: Episode VIII opening on December 15, 2017. What do you think of the tone they’re setting for the Han Solo movie? Share your thoughts in the comments below!